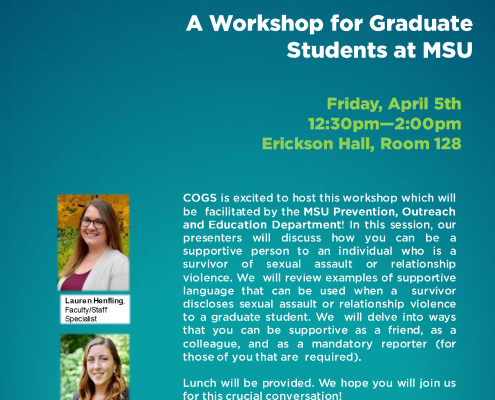 The Council of Graduate Students (COGS) is dedicated to advancing the well-being and professional interests of graduate and professional students at Michigan State University through advocacy, leadership, and unity. 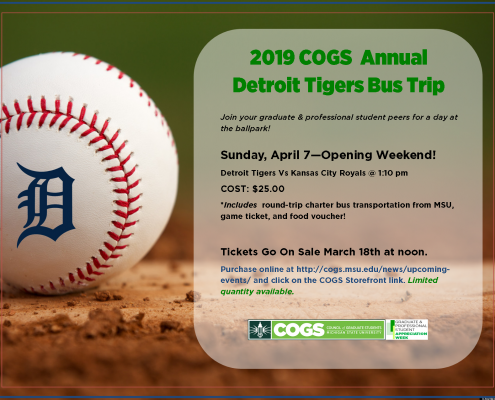 COGS Annual Detroit Tiger Trip is April 7th. Tickets Go on Sale March 18th at Noon.